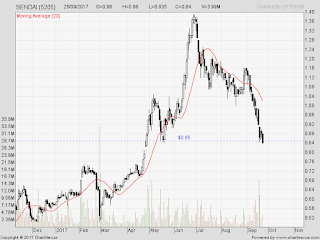 Sendai : breaking support ... and I have to exit yesterday with cut-loss 84.5, at the moment is 81.5cents. Support broken, sell. Don't really follow news and dont know why it is diving so sharply and I m attracted. I think Uncle Koon still holding to his positions, perhaps maybe adding into her. As fundamentalist, one would average it down (discounted price) but as traders, we have to sell first and see if we could buy lower at next support for technical-rebound trade. 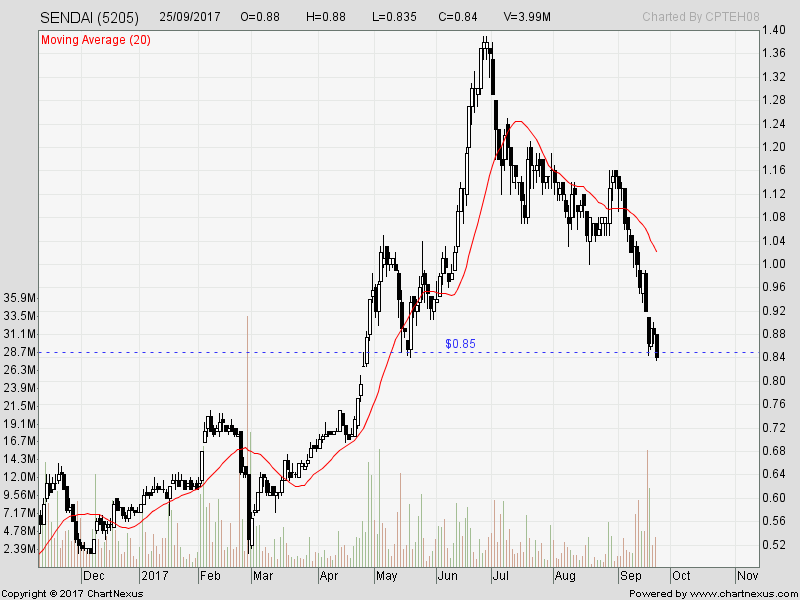 It is strong downtrend now ... and risk is high.